In fall 2016, Allison Jackson was awarded the Nigel Seeley Fellowship, an eight-week fellowship offered by The Royal Oak Foundation, the American partners of the National Trust, UK. 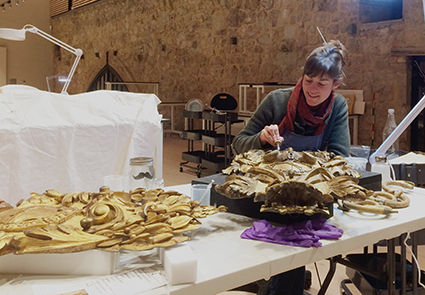 From October to December 2016, Allison studied and worked at the on-site conservation studio and learning space for the Knole House collection. Knole House is a historic English country house in Sevenoaks, Kent, which houses a vast collection of art and furniture dating back to the 16th-century. 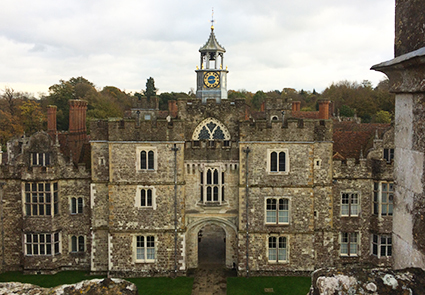 The fellowship was founded as part of the Inspired by Knole project running through 2018 with the mission to conserve and share the Knole collection with the local community. 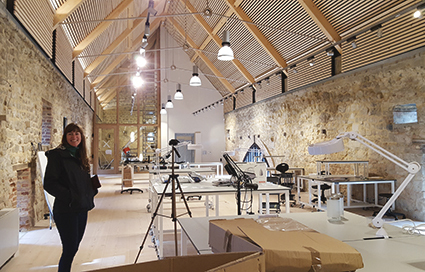 As a Nigel Seeley Fellow, Allison had the privilege to work on a variety of projects, including assistance in the transition to the new Knole conservation studio. Her main project for the fellowship required her to assess the condition and develop a treatment plan for a set of 17th-century gilded and upholstered furniture in the Ballroom. Following thorough examination and documentation, they decided to remove a 20th-century intervention, and this treatment has commenced. She also helped to the determine the original hanging scheme of 44 17th-century portraits from the Brown Gallery, and treated an 18th-century carved and gilded wall sconce from the Ballroom. As a freelance conservator, Allison finds herself constantly on the move from one job to the next, so the opportunity to spend eight weeks in a foreign country was a greatly fulfilling experience. “The opportunity to be immersed in a culture, so rich in history and art, and work in a community that shares my passion was a true blessing,” said Allison. Allison Jackson treating an 18th-century carved and gilded wall sconce.